An open kitchen space taking advantage of as much natural light as possible to brighten the room using a large window framing the backyard view. 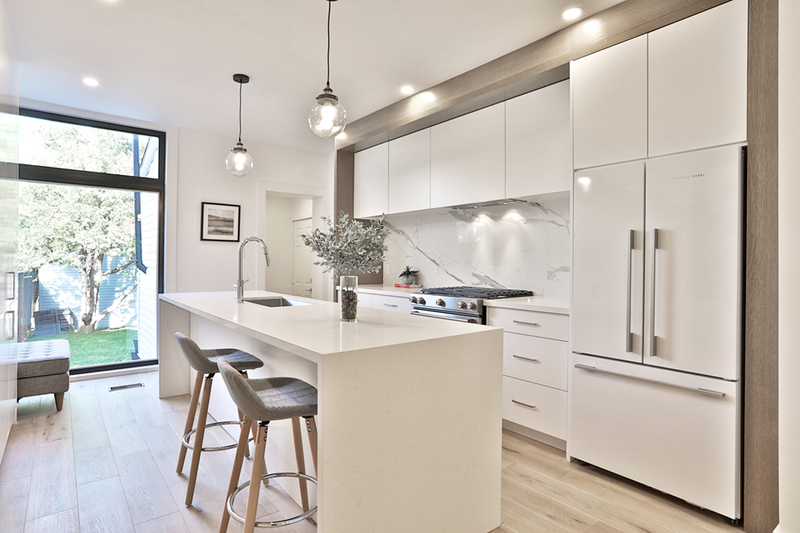 This modern kitchens has a classic touch using marble as the accent wall. The Contour Group did everything they said they would. From their pricing to their timelines, it could not have been any smoother. They worked with me from everything from design to telling me what was and was not a good idea. They were not “yes men”; I loved that the most about them. Well done Contour!